How Much are Closing Costs When Buying a Home? Reader question: "We are planning to buy our first home sometime in 2011. I've been reading about closing costs lately, and I'm totally confused about them. I've seen averages that are all over the board. How much are closing costs when buying a home? Does it depend on the house price, or is it standardized in some way?" Short answer: The national average is supposedly $3,800. But this only includes the lender's fee. When you add in the third-party fees (title company, escrow company, etc.) and whatever mortgage points you pay, your closing costs might be $7,000 or more. It also depends on the size of the loan you get. In my experience, it's more accurate to multiply your loan amount by 3 percent. This will give you a rough idea how much your total closing costs will be. On a $250,000 mortgage loan, this would come out to around $7,500 (250,000 x .03 = 7,500). If you live in a high-cost area like New York or California, you might have to multiply by 5 - 6 percent to get a ballpark figure. Your lender should tell you how much your closing costs are when you apply for the loan. More specifically, they'll give you a written estimate of these costs. But your actual fees could be 5 - 10 percent more than the estimated figure. So you should plan for surprises. We will talk numbers again later. But first, I want to bring everyone else up to speed. Some of our readers might not even know what these costs are. Here's a definition. Closing costs are the fees, charges and taxes required to (A) originate the mortgage loan and (B) transfer the property from seller to buyer. They are also referred to as settlement charges. When you "close" on a property, you finalize all of the paperwork and settle all of the outstanding fees and charges. This is also when ownership is transferred from the seller to the buyer. All of the fees accumulated during the mortgage process must be paid on closing day. The buyer / borrower pays for most of these fees. In some cases, the seller may contribute money toward the buyer's closing costs (learn more). Your costs will vary based on three factors: (1) the lender you use, (2) the state in which you reside, and (3) the size of your mortgage loan. Location has a lot to do with it. New York, Texas and California are three of the most expensive states, with closing costs well above the national average. So how much are they? According to Bankrate.com, the national average for closing costs is around $3,800. But this number is much lower than the actual costs incurred at closing. In fact, I think it's irresponsible to publish numbers like this without explaining what is (or isn't) included. It gives home buyers a false sense of ease. "Wow, I can afford that. I've got about $3,000 in the bank already!" But in reality, your actual costs could easily be twice this amount. Often, when journalists and publishers list these averages, they only include the lender's fees. But they don't always include the third-party / non-lender fees, and these can add up to another $2,000 - $4,000 at least. Add in the mortgage points you might pay to secure a lower rate, and your closing costs could easily exceed $7,000 on a $250,000 loan. Related: Do lenders pay these costs? Mortgage application fee -- This is the price for submitting a loan application to the lender. How much does it cost? On average, borrowers pay around $550 when applying for a mortgage loan. These days, most application fees are non-refundable. That means you don't get the money back if you change your mind later on. Consider that before you submit applications with half a dozen lenders. Ask in advance if the application fee is refundable or not. Read the fine print. Loan origination fee -- Origination is a fancy word for the start of something. The lender charges you money just to start or create the loan. Welcome to the world of mortgage lending! How much will you pay for this closing cost? It usually comes out to one percent of the loan amount. So when buying a $300,000 home, your origination fee would likely be $3,000. The bigger the loan, the higher the origination cost. 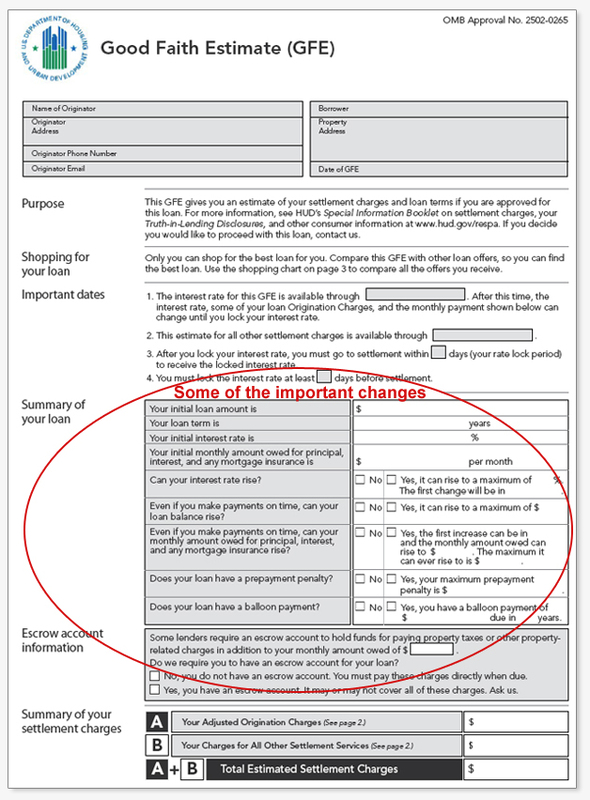 Processing fee -- You apply for a home loan. The loan gets "originated," and you pay a fee. Then the loan gets "processed," and you pay another fee. Later, the loan will be "underwritten," and ... well, you get the picture. Whenever your application package moves from one desk to another (electronically or otherwise), there's another closing cost added on. Processing fees average around $400. Credit report -- When you apply for a home loan, the lender will check your credit reports and scores. You should do this too, by the way. They have to pay for this information, and they'll pass the cost along to you. This is a relatively small fee, usually $35 to $50. Interest points -- Also referred to as discount points, this is a form of prepaid interest. One point equals one percent of the loan amount. Most borrowers pay mortgage points at closing in order to secure a lower interest rate. This can greatly increase your total closing costs. How much does it add? If you pay a point on a $300,000 mortgage, you've increased your closing fees by $3,000. Title search and insurance -- The title company will examine the title (ownership) for the home you are buying. They do this to protect you from future liens or other claims of ownership. The owner's title insurance policy gives you coverage up to the amount you paid for the property, in the event that you lose the house through a title dispute. You'll pay anywhere from $500 - $1,500, depending on where you live. Home appraisal -- Is the property worth the amount you've agreed to pay for it? This is one of the first questions the lender will ask, after you present your purchase agreement. They'll answer this question by having a professional appraiser determine the value of the home. The appraiser's fee gets added to your closing costs. You can expect to pay around $400 for the appraisal. Underwriting fee -- The mortgage underwriter is responsible for verifying all of the information in your loan application. This person must ensure you meet all of the lender's guidelines and (possibly) the guidelines established by the secondary mortgage market. This cost might be part of the "processing" fee, or it might be listed separately. How much will you pay for this closing cost? Anywhere from $300 - $600. Property survey -- The survey shows the exact size and layout of the property and lot. Lenders use this to make sure the house is not encroaching on another property (among other things). If there's already a current survey, the lender might not order a new one. Some lenders will request a new survey even if one has been done recently. The survey might cost you anywhere from $150 to $450. Gov't. recording fees -- The government records the change of ownership / deed anytime a home is sold from one person to another. As you would imagine, they charge a fee for this recording. Home buyers pay an average of $125 for these fees. Home insurance premium -- You must have a homeowners insurance policy in place before you can close on the home. Most lenders will require you to pay the first year's premium on or before closing day. So while it's not a lender-related fee, it should still be counted as one of your closing costs. According to the Insurance Information Institute, the average cost for a homeowners policy is around $800 per year. At the beginning of this article, I said the widely reported "average" for closing costs is around $3,800. This is a number you'll run into a lot, when researching this topic online. I also pointed out that this number is much lower than the total costs you'll have to pay at closing. It doesn't include non-lender fees, the average points paid at closing, or homeowners insurance. So the figure causes more confusion than anything. Realistically: So how much are closing costs now, based on the list of fees presented above? If you add up all of the numbers above (shooting the middle whenever a range is presented), you would come up with $10,067. This is for a $300,000 mortgage loan with one point ($3,000) paid at closing. Without paying that one point, the total costs would still be around $7,000 -- and I'd have a higher interest rate as well. Remember the 3-percent rule of thumb I mentioned earlier? I said you can get a pretty good idea how much your closing costs will be by multiplying the loan amount by 3 percent (or 4 - 6 percent in high-cost areas). Let's see how it holds up here. If I multiply $300,000 by .03, I would get $9,000. If I multiply by .04 (4 percent), I would get $12,000. These numbers fall on either side of the $10,067 I got from adding up the averages above. So the 3-percent technique actually holds water. But there's an even better way to find out how much your closing costs are going to be. It's called the Good Faith Estimate form. When you apply for a mortgage loan, the lender is required to give you a document known as the Good Faith Estimate (GFE). As the title implies, this document gives you an estimate of your total borrowing costs. It includes an itemized list of fee and charges, along with the amount. There's a good chance you'll pay more on closing day than the lender estimates in advance. But this document is still useful as a planning tool. If a particular fee ends up being more than ten percent higher than originally estimated, the lender must pay the difference. So they have an incentive to be as accurate as possible with the Good Faith Estimate.